Born on May 5, 1961, Shri Jain holds a Master’s degree in Commerce and Business Administration along with CFA and FRM. He is also a Follow Member of IIBF. Shri Jain is Deputy Governor of Reserve Bank of India. 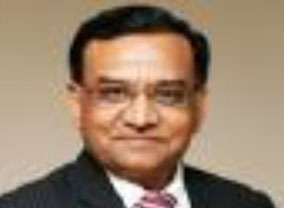 Shri Jain was the MD & CEO of IDBI Bank before being appointed as Deputy Governor. Shri Jain is a professional banker with more than 32 years of experience. Prior to his stint with IDBI Bank, he was heading Indian Bank. He has served at various positions in Punjab National Bank and Syndicate Bank across multiple areas that include Corporate & Retail Credit, Risk Management, Credit Monitoring including Corporate Debt Restructuring, Business Process Re-engineering, Treasury and International Banking.